I have a rather odd fascination with yellow lately. I bought a yellow clutch from www.yesstyle.com and since then have been on a rampage to find more yellow accessories. 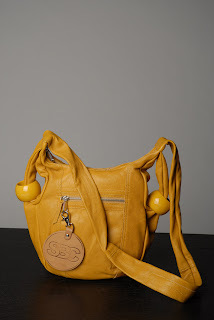 There's something rather appealing about this See by Chloe bag; it's fun, flirty and if only the two yellow rings can also be used as bangles, I would be all set.